What is a workflow in accounts payable? With Accounts Payable Workflow, organizations of all sizes can completely eliminate the manual steps involved with receiving, approving, coding , matching and hand entering supplier invoices for payment. Our Vision360 Enterprise Accounts Payable Workflow system is a software system that does not require you to purchase anything. Your Accounts Payable Department will be able to manage the entire payables process from their very own AP Dashboard that will provide them with all of the KPI's, Reports and Analytics to drive savings, performance and efficiencies. ​A typical day in accounts payable is anything BUT typical. A day in accounts payable should really be called, Mission Impossible! Why you ask? 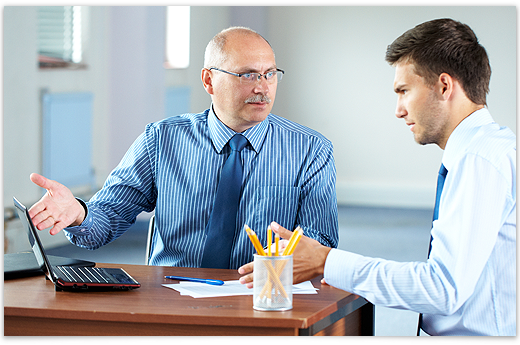 The accounts payable department and responsibilities of the AP staff go well beyond paying bills and invoices. There are many responsibilities, factors, variable and duties to consider. With Vision360 Enterprise AP invoice workflow, accounts payable departments can automate their accounts payable process and expect to eliminate all of the manual touch points and processes associated with process, paying and maintaining supplier invoices. With Vision360 Enterprise AP workflow there is nothing to purchase, no software licensing restrictions, no annual software maintenance and very little IT resources needed. Vision360 Enterprise automates the routine steps involved in approving invoices. Once supplier invoices are captured, the invoices can be routed to approvers using the Vision360 Enterprise accounts payable automation based on business rules, through multiple levels of approvals, coded and released for payment. Vision360 Enterprise AP Automation integrates with many common ERP systems such as Oracle, SAP, MS Dynamics, QAD, BST, Lawson, JD Edwards, JDA, Paragon, Infinium, Infor BPCS, LX and many popular document management system like PaperVision Enterprise, ImageSilo and more. 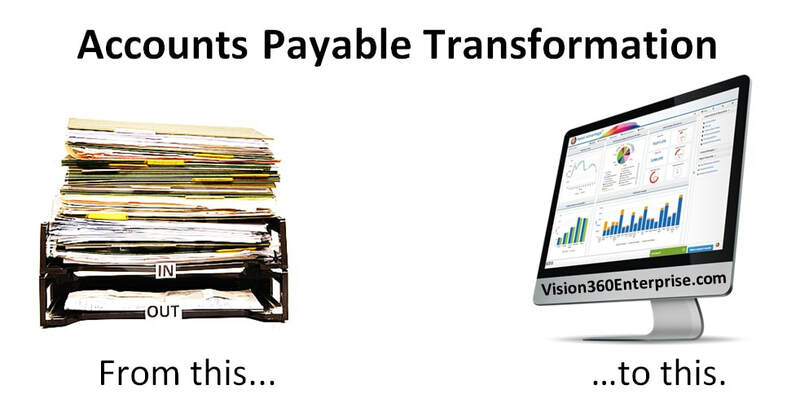 Vision360 Enterprise brings accounts payable processing and business process automation to a whole new level.